Aww. 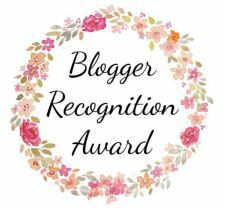 I am so happy that I was nominated for “Blogger recognition award” by Lathiya from https://cookwithsmileblog.wordpress.com/. It’s been only a few months I started blogging. This award really encourages me to share and learn more in this blogging world. Select the 15 other blogs you want to give the award to. If you all haven’t already familiar with her blog, please stop by https://cookwithsmileblog.wordpress.com/, it’s worth checking. I started blogging when I was wondering about my different interests and exploring my cooking skills. This platform encouraged me to do more, helped me to find out myself and what I actually want to do. I see different people, ideas, recipes, facts and lot many other things here. To be frank, I almost spent most of my day time reading and exploring other people quality work here after I left my job. I never regret that I spent my time on here. https://arusuvaiunavu.wordpress.com/ – PriyaPandian (Recipes of different home cooked food). https://word53196.wordpress.com/ – Motivational quotes, short stories, poems and more. sparkleblossomgoodsblog.wordpress.com – Sparkle (Quotes, inspiration, love and positive energy). Congratulations Malini on your nomination and thanks for nominating me. Am humbled. Glad you liked my blog. Will look into it soon. Need to combine the other two nominations of the blogger recognition award.